Spinal stenosis is the narrowing of the spinal cord canal, a common ailment that compresses the spinal cord or spinal nerve roots. This compression can lead to back and leg pain, cramping of the legs, numbness and tingling, muscle spasms, weakness in the legs preventing comfortable walking and even incontinence (loss of urine control) or paralysis. The function of the spinal column (made up of spinal bones or vertebrae) is to house and protect the spinal cord (a vital portion of the nervous system) as well as spinal nerve roots (the pathway from the spinal cord to the rest of the body). The nervous system is comprised of the brain, spinal cord and all of the nerves in the body; the nervous system controls and coordinates the functions of all organs, cells, tissues and systems in your body. If the protective spinal column and spinal cord canal are compromised, our level of health and wellness can be dramatically altered. The most common area for canal narrowing is within the lumbar vertebrae (lower back). Often, individuals will have symptoms such as numbness and tingling or pain into the legs and feet, cramping into the legs, and abnormal bowel or bladder function. Other signs may include pain with walking, especially up or down a hill, ramp or stairs, and is often relieved with sitting or leaning forward. Spinal stenosis in the cervical spine (or neck) is less common but far more dangerous because it involves direct compression of the spinal cord. Spinal stenosis around the spinal cord could lead the above symptoms as well as create radiating pain, weakness or numbness and tingling to the arms and hands, serious body weakness or even lead to partial or complete body paralysis. Individuals at risk for spinal stenosis include people over age 60 and people who sit for a majority of their time. Additionally, people may be born with a narrow spinal cord canal — although not common, this is very likely to lead to spinal canal stenosis. Decompression surgery to remove the bone and ligaments around the stenosis is one option for patients with severe symptoms. However, the risks associated with surgical intervention increase with age. Fortunately, alternative and effective treatments for patients with mild and moderate symptoms have now been established. Chiropractic care is a safe and effective treatment option for those who are searching for an alternative and natural method. 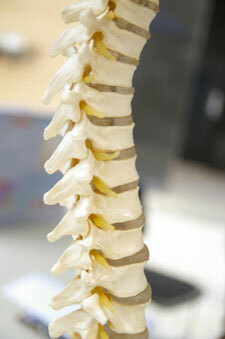 Techniques can include chiropractic spinal adjustments, traction methods, spinal decompression therapy, and flexion-distraction techniques provide relief to symptoms without the side effects of medications or the risks of epidurals or surgery. Flexion-distraction is a method offered at our practice that has provided pain relief for patients with spinal canal stenosis. This technique can open the spinal canal space, relieve the pressure within the discs and realign joints in order to restore motion. At Active Chiropractic & Wellness Centre, we offer a non-surgical, certified care program for spinal stenosis. Starting with a thorough clinical examination which may include diagnostic imaging, the program involves a targeted combination of exercises, with some doctors assisting in the clinic during the 6 week/12 visit portion. To create the highest-level of independence, a home care routine is also designed for long-term maintenance. If you are looking for alternatives to medications and surgeries for symptomatic relief, please contact Dr. Jeff at 705-743-1661 to arrange for a consultation.